In an interview late last year with a Wall Street Journal reporter, the State Bank of Vietnam’s Deputy Governor Nguyen Thi Hong said it was encouraging weak banks to voluntarily restructure themselves in 2015 through mergers and acquisitions. 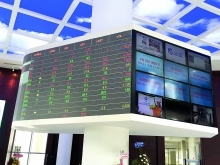 (VEN) - After 10 years of operations (March 8, 2005-March 8, 2015), the stock market on the Hanoi Stock Exchange (HNX) has effectively developed, contributing to raising capital for the economy. Vietnam’s public debt rate may climb to 60% of the country GDP in 2016 and economists say the rate may be much higher than the Asian Development Bank (ADB) has forecast. 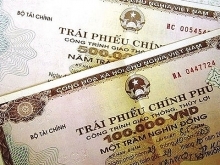 A series of commercial banks have dropped their deposit interest rates on the Vietnamese dong to reduce costs while credit activities remain sluggish. Vietnam’s Gross Domestic Product (GDP) growth is likely to edge up to 6.1% in 2015 and 6.2% in 2016, according to the Asian Development Outlook (ADO) 2015 released by the Asian Development Bank (ADB). (VEN) - The State Bank of Vietnam and the World Bank (WB) recently signed preferential loan and credit agreements with total value of US$450 million aiming to help Vietnam improve environmental hygiene in Ho Chi Minh City. (VEN) - On behalf of the government, Deputy Prime Minister Vu Van Ninh agreed to add the Phu Quoc International Airport to the list of airports allowed to apply the policy of refunding the value added tax (VAT) imposed on goods which foreigners and overseas Vietnamese buy in Vietnam and carry with them when leaving the country.